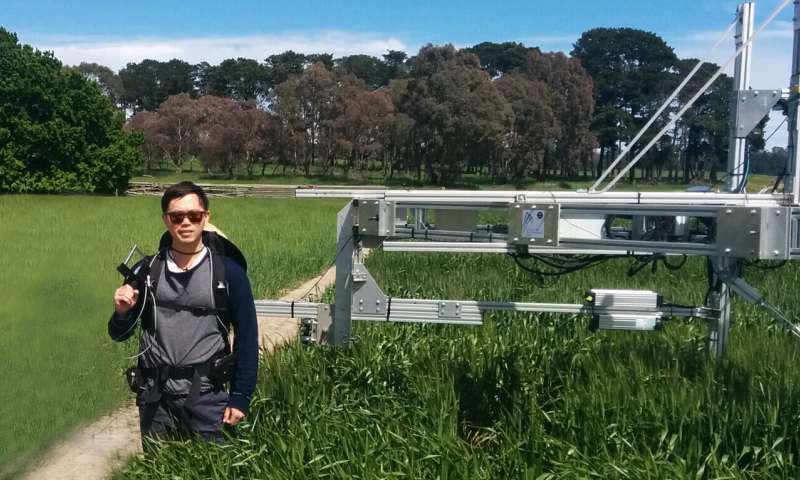 "We have developed a reliable, biologically rigorous prediction tool that can quantify the yield gains associated with manipulating photosynthesis in realistic crop environments," said Dr. Alex Wu, from the ARC Centre of Excellence for Translational Photosynthesis (CoETP) and The University of Queensland (UQ). Dr. Wu, the lead author of the paper published this week in the journal Nature Plants, said that this modelling tool has the capacity to link across biological scales from biochemistry in the leaf to the whole field crop over a growing season, by integrating photosynthesis and crop models. "In this study we are scaling up to the whole crop growth season and incorporating the feedback effects on photosynthesis of resources for the crop, such as water, which is critical in predicting consequences on crop productivity in future Australian crop environments", said Centre Chief Investigator Professor Farquhar from the ANU Research School of Biology. The team investigated three main photosynthesis manipulation targets—enhancing the activity of the main photosynthetic enzyme, Rubisco; improving the capacity of the leaves to transport electrons; and improving the flow of carbon dioxide (CO2) through the internal layers of the leaf. 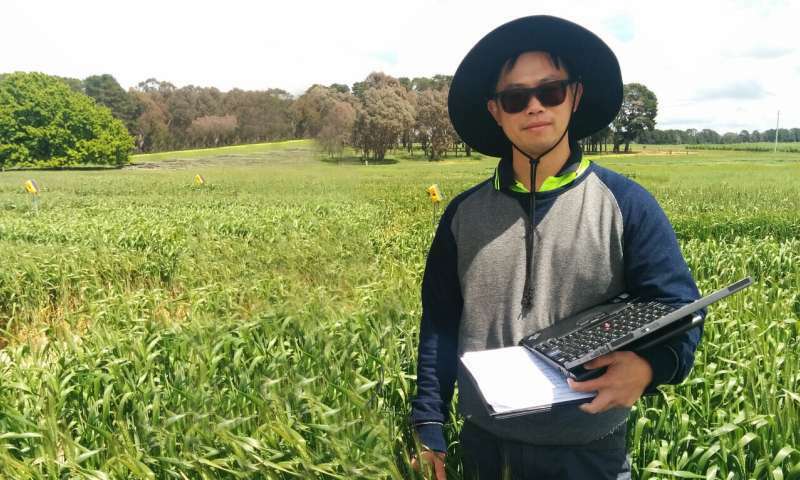 "This study permits us to quantify the consequences on crop yield for these three targets and their combinations for wheat and sorghum crops for irrigated or dryland cropping environments," said Dr. Wu. This is not what is needed. Successful farmers owning thousands of acres of lands and using the most modern Equipment instead of importing arms & ammunition for wars is preferred. Once jobs are lost for the illiterates because of this practice, they should be sent to schools to study up to Doctorate degrees in Scitech fields. All these years, farmers in developing countries have been owning 5-50 acres of land each and cultivating using abundant manual labor unlike in developed countries. Machines can do better. Why would you think the only way to improve yields is mechanization? We can certainly persue more than one strategy at a time to increase yields. Increased photosynthesis efficiency looks to be a very good thing to tap, once we understand the where it is and isn't useful. The biggest issue is not increasing food, but decreasing population density. All these 7+ BILLION people are causing all the problems, and they want to find more ways to increase their numbers. In simple terms, the more humans you feed, the more humans you breed. There seems no end to the skyrocketing population. Sooner or later nature will intercede and dump billions of people through starvation, disease and lack of potable water, and all the violent strife that will result from this. Due to the ignorance of the world's leaders in neglecting this most significant issue of all, there is nothing to do but watch and/or take part in the pending calamity. Why would you think the only way to improve yields is mechanization? I guess this is a response to the blocked comment, but precision farming with high mechanization and GMO are the best methods to decrease farming environmental footprint (higher yields, minimized pesticides, less area, less nutrient leakage). Of course we would like to see electric vehicles soon! The biggest issue is not increasing food, but decreasing population density. That process has been in progress for a long time, so the article - and you - is somewhat alarmist. The birth (and child death) rates have been decreasing steadily with education, and societies like Japan and Germany has an inverted population demographics. China, which caps the global demographics, is set to get decreasing population 2030ish, despite removing the "one child" law [ https://www.abc.n...10687996 ]. @torbjorn_b_g_larsson , Germany and Japan, with Italy and a few others, reduced the population of the planet by about 60 million back in the early-to-mid 1940s. In 1940, the global population was ca. 2.5 billion. Despite the deaths of WWII, it hardly put a dent in the number of people. That they are trying again in a different way is not going to be particularly useful since they only represent a fraction of the global population, and are also highly educated. The mass of humanity exists in very poorly educated populations, and most raise large families. China's experiment with one child only helped to some extent - it produced a lot of male children (girls were not wanted). These males cannot find Chinese women to breed with. But that too is a drop in the bucket. Unlikely they will make further progress. People believe it is a right to have kids. Go ye forth and multiply yourself into extinction seems to be the faith. Sadly, nature's course is the most likely.